A bill that was amended on general file to become an omnibus Urban Affairs measure was given first-round approval April 3. As introduced by the Urban Affairs Committee, LB873 would make a variety of clean-up changes to state law related to the governing of cities, including clarifying terms and eliminating antiquated and unnecessary language. Debate focused on provisions related to expanding land bank authority statewide, which were added to the bill by an Urban Affairs Committee amendment adopted during general file debate March 20. The provisions, originally introduced by Grand Island Sen. Dan Quick as LB854, would allow any Nebraska municipality to create a land bank under the Nebraska Municipal Land Bank Act and clarify that land banks may enter into agreements under the Interlocal Cooperation Act for the joint administration of multiple land banks. Currently, only municipalities in Douglas and Sarpy counties are eligible under state law to create land banks, or tax-exempt political subdivisions that acquire, manage and develop vacant and tax-delinquent properties. Sen. Suzanne Geist of Lincoln had offered an amendment to strike the land bank provisions from the bill, saying she was hesitant to give extensive authority to an unelected entity. The amendment was pending when the Legislature moved to another item on the agenda after three hours of debate. When debate resumed April 3, Geist said her concerns remained that the land bank provisions were too broad and would increase the size of government. She said the pilot program in Omaha may not be right for all of Nebraska. 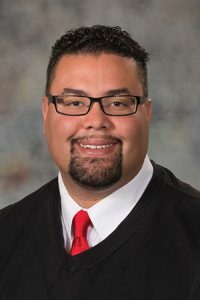 Omaha Sen. Justin Wayne, chairperson of the Urban Affairs Committee, opposed the amendment. He said land banks provide a valuable public service by dealing with vacant, abandoned and delinquent properties in an attempt to return them to the tax rolls. The amendment failed on a vote of 17-20. • LB880, introduced by Hansen, which would require cities to include an early childhood element in their comprehensive plans no later than Jan. 1, 2022, either when adopting a new or updating an existing comprehensive plan. LB873 also was amended March 20 to include provisions of LB756, introduced by Lincoln Sen. Adam Morfeld, which would prohibit municipalities from adopting or enforcing an ordinance or regulation that prohibits the use of a property as a short-term rental, unless necessary to protect public health and safety. The provisions authorize an online hosting platform to enter into an agreement with the state tax commissioner to collect and pay applicable sales taxes imposed under Nebraska law on behalf of short-term renters. The bill advanced to select file on a vote of 26-4.